This is a private attorney general action brought by Plaintiffs on their own behalf and on behalf of the general public. Defendant routinely engages in unlawful conduct by promulgating and enforcing rules that violate the constitutional and civil rights of Plaintiffs and other members of the general public who engage in, or seek to engage in, constitutionally protected expressive activity at the Irvine Spectrum Center, a retail shopping center located at 71 Spectrum Center Drive, Irvine, California 92618, and Fashion Island, a retail shopping center located at 401 Newport Center Drive, Newport Beach, California 92660. Defendant is the owner of the Irvine Spectrum Center and Fashion Island, which are public forums for expressive activity. Rather than adopting and enforcing reasonable time, place, and manner regulations for expressive activity within these forums, Defendant has promulgated and enforces rules that unconstitutionally restrict expressive activity. The enforcement of these unlawful rules has caused, and will continue to cause, injury to Plaintiffs and to the general public. When Plaintiffs sought to engage in their constitutionally protected expressive activity at the Irvine Spectrum Center and Fashion Island, Defendant, through its agent, threatened to enforce its unlawful rules by, inter alia, threatening to physically remove Plaintiffs from the shopping centers. Such a threat of physical force in retaliation for exercising constitutionally protected rights constitutes a violation of California Civil Code sections 52.1 (civil rights). Plaintiffs want to engage in expressive activity at Defendant’s shopping centers. However, Defendant has informed Plaintiffs that it will enforce its unlawful rules to halt Plaintiffs’ constitutionally protected activity, and it has threatened to physically remove Plaintiffs from the shopping centers as well as enforce other remedies against Plaintiffs if they do exercise their free speech rights, thereby chilling, and indeed halting, Plaintiffs’ right to liberty of speech protected by the California Constitution. Plaintiff Center for Bio-Ethical Reform, Inc. (“CBR”), is a nonprofit, California corporation recognized by the IRS as a 501(c)(3) organization. Plaintiff Gregg Cunningham is a resident of Orange County, California and the Executive Director of CBR. Defendant The Irvine Company, LLC is a limited liability company organized under the laws of Delaware and doing business in California, with its principal place of business in Orange County, California. The Irvine Company is the owner of the Irvine Spectrum Center and Fashion Island, and it allows expressive activity at these shopping centers subject to certain rules, which are challenged here. This Court has personal jurisdiction over Defendant because it is either domiciled in, or is authorized or registered to conduct, or in fact does conduct, substantial business in California. This Court has subject matter jurisdiction over the claims asserted because they arise under the California Constitution (Article I, section 2) and California Civil Code section 52.1 (civil rights violation) and relief is sought under California Code of Civil Procedure sections 526 (injunctive relief) and 1060 (declaratory relief). Venue is proper in this judicial district because Defendant’s principal place of business is located in this district and the acts upon which this action is based occurred in Orange County. CBR is a social reform organization whose main purpose is to promote prenatal justice and the right to life for the unborn, the disabled, the infirm, the aged, and all vulnerable peoples through education and the development of innovative educational programs. Plaintiff Cunningham is the Executive Director of CBR, and he exercises his right to freedom of speech through the free speech activity of CBR. 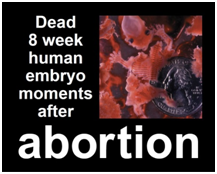 CBR engages in free speech activity by using images to demonstrate the irrefutable truth that abortion is a violent act that results in the death of an innocent human life. A number of significant public opinion polls indicate substantial confusion in the public mind as to the humanity of the unborn child and the inhumanity of the act of abortion. CBR’s images address both areas of confusion. Impactful images of injustice have long been a part of modern social reform. Throughout our nation’s history, social reform has often been achieved through the use of graphic pictures designed to dramatize injustice and prick the collective conscience of the culture. Examples of this phenomenon include the abolition of child labor, the civil rights movement, anti-war movements, and environmental causes. Many of these disturbing images are well known, and it is widely acknowledged that these images were indispensable in changing public opinion at the levels necessary to create the political consensus required for social reform. Historically, many popular but unjust laws were reformed only when activists exercised the right to confront society with irrefutable visual evidence of social injustice. Their graphic images were not gratuitous, they were explanatory. They dramatized injustice in ways which many found insulting, but their purpose was not to insult. They were merely trying to accurately depict injustice which could only be fully understood visually. When words fail us, we must turn to photos. Photos make injustice more difficult to trivialize or ignore. Abortion photos are informative in useful ways which no words can achieve. Defendant permits expressive activity at the Irvine Spectrum Center and Fashion Island, which are shopping centers that are open to the public in the same manner as public streets or parks and are therefore public forums for expressive activity. The Irvine Spectrum Center is visited by more than 15 million people annually. Stores located within this mall that donate to Planned Parenthood, the nation’s largest abortion provider, include Levi’s and Starbucks Coffee. Fashion Island is visited by more than 13 million people annually. Stores located within this mall that donate to Planned Parenthood include Nike, Starbucks Coffee, Urban Decay, and Whole Foods Market. 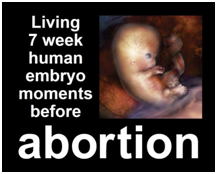 The first sign shows a picture of a living human embryo at seven weeks gestational age, and the second sign shows a picture of a dead human embryo at eight weeks gestational age juxtaposed with a quarter to illustrate actual size. Both signs present accurate and objective facts. On or about November 26, 2014, Plaintiff Cunningham received from Mr. Ernie Park an email stating that he is “counsel for The Irvine Company” and requesting “a complete copy” of Plaintiffs’ letter. Plaintiff Cunningham promptly responded that day and provided a copy of the letter to Mr. Park. Later that day, Mr. Park sent an email to Plaintiff Cunningham, stating, in relevant part, “[P]lease find the rules for Fashion Island. They would be substantively the same for the Spectrum.” Attached to the email was a document titled, “RULES FOR NON-COMMERCIAL EXPRESSIVE ACTIVITIES AT FASHION ISLAND SHOPPING CENTER” (hereinafter “First Rules”). A true and correct copy of these First Rules is attached to this First Amended Complaint as Exhibit A.
Defendant’s First Rules contained various restrictions on expressive activity. The First Rules only permitted expressive activity in the “approximately 100 square foot portion of the Center expressly designated” for such activity (“Designated Area”). In follow-on correspondence to Plaintiffs, Mr. Park made it clear that if Plaintiffs “intend to protest in violation of our rules,” then Defendant “will understand [Plaintiffs’] conduct to be trespassory in nature” and will, therefore, “reserve [its] right to resort to its various remedies,” which would include the physical removal of Plaintiffs and/or their property from the shopping centers. Following this exchange, Plaintiffs and Mr. Park exchanged various other emails and correspondence in an effort to reach a clearer understanding of the issues and to hopefully find some common ground. To that end, Plaintiff Cunningham requested a face-to-face meeting with the appropriate decision makers for Defendant in order to discuss the issues. The request was granted. On or about February 9, 2015, Plaintiff Cunningham and his associate, Kevin Olivier, participated in a meeting held at the management office in the Irvine Spectrum Center. Present for Defendant were Mr. Park; Ms. Nancy Feightner, Vice President and General Manager of the Irvine Spectrum Center; and Ms. Tanya Thomas, Vice President and General Manager of Fashion Island. During this meeting, Plaintiff Cunningham described CBR’s proposed activities at the two shopping malls and presented printouts containing the content of the two signs they intended to use. One sign showed a prenatal image and the other an abortion image. The content of these signs is the same as the content of the signs proposed in Plaintiffs’ correspondence of November 26, 2014, and depicted in this First Amended Complaint at paragraph 24. As described by Plaintiff Cunningham at this meeting and consistent with his prior correspondence, Plaintiffs’ proposed free speech activity would include the following: approximately 4 to 5 picketers in total standing at the entrance to the targeted store; some of the picketers (approximately 2 to 3) would be carrying hand-held signs depicting content similar to the signs previously identified in paragraph 24 of this First Amended Complaint; and the remaining picketers (2 to 3) would be distributing pro-life literature to passersby who would be willing to accept the literature. At no time would any of the picketers block, impede, interfere with, harass, or annoy any of the mall’s patrons, customers, tenants, or personnel, nor would Plaintiffs in any way impair or interfere with the smooth flow or free passage of such persons. And if requested, Plaintiffs would be willing to post courtesy signs at various locations in the mall to alert passersby of the abortion imagery, thereby giving them the option to physically avoid the imagery or to avoid it simply by averting their eyes. Park and Defendant’s other representatives listened to Plaintiff Cunningham’s presentation and gathered the information. Defendant’s representatives did not announce any decisions at this meeting, but they said that they would present the information to their superiors and get back with Plaintiffs. As a result of Defendant’s rejection of Plaintiffs’ proposed expressive activity under its First Rules and its concomitant threat to use physical force to prevent Plaintiffs from engaging in such activity, on or about May 5, 2015, Plaintiffs filed their original complaint against Defendant. Upon review of the Revised Rules, Plaintiffs, through counsel, sent a letter to Defendant’s counsel on or about July 3, 2015, stating, in relevant part, as follows: “We have reviewed your rule changes with our clients. The numbered paragraphs below represent what they would propose by way of free speech activity in light of these changes. This is consistent with what was previously proposed. However, in light of the rule changes and based on our prior communications, it is our understanding that our clients will not need to go through another approval process since we are currently in litigation and that you would stipulate as to the areas of agreement / disagreement so that we can properly amend our complaint and proceed with the litigation. Our clients wish to engage in free speech activity that targets various stores located within the Fashion Island and Irvine Spectrum Center retail shopping centers. Consequently, since the revised rules now permit such targeted activity (Section IV of the respective rules), our clients request alternate areas in close proximity to the targeted stores. The targeted stores include Nike, Starbucks Coffee, Urban Decay, and Whole Foods Market at Fashion Island and Levi’s and Starbuck’s Coffee at the Irvine Spectrum Center. Please note that our clients do not want to picket each of these stores at the same time—they wouldn’t have the resources to do so—but want to establish separate dates for each. And of course, our clients will not physically obstruct or prevent anyone from going to or from any of these stores nor will they create a disturbance of any kind (i.e., our clients do not intend to “be stationed directly in front of an entrance to the location or in any other location that interferes with or blocks entry into or exit from the location or any other location” per Section II.F. of the respective rules). Indeed, we can assure you that our clients’ conduct will be (and always is) above reproach. If there is a disturbance of any kind, it will invariably come from the “listener” of our clients’ speech. But of course, a listener’s reaction to speech is not a lawful basis for suppressing the speech. This, as you know, is known as a “heckler’s veto.” In short, our clients will comply with your “decorum” requirements (Section XI), insofar as these requirements do not operate as a pretext for silencing disfavored speech (e.g., “disparaging remarks” is hopelessly vague, particularly in the context of speech addressing a controversial public issue as abortion). Our clients intend to have approximately 4 to 5 “participants” at any one time, some with signs and some with literature. Attached to this correspondence is a document titled, “Expressive Activity Alternate Locations,” which contains photos of the proposed locations for our clients’ expressive activity. The signs that our clients propose to use are the same as in the original complaint, and they appear below. Please note that our clients will abide by your size and number restrictions (Section IX.A. of the respective rules), so the only issue is the content of these signs. Should any of the proposed signs be acceptable to your client, our clients request that you permit them to display courtesy signs on the avenues of approach so that the store patrons can be forewarned and thus make an informed decision as to whether they want to view or avoid the abortion-related signs. 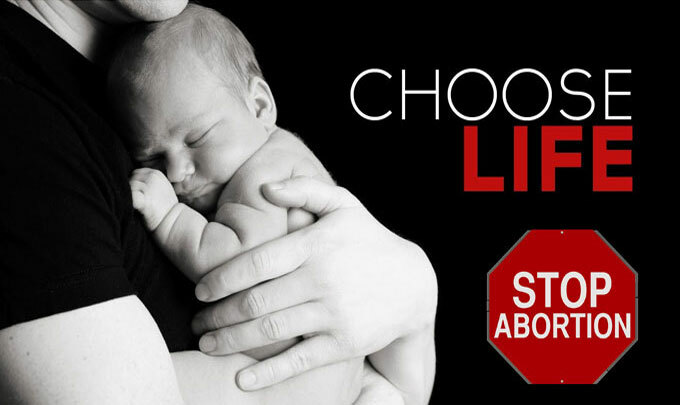 In additions to the signs, our clients will be handing out pro-life literature to those persons willing to accept it, and they will be discussing pro-life issues and the purpose of the expressive activity with passersby willing to engage in such conversations. At no time will our clients block, impede, or physically harass anyone. Again, our clients will abide by the “decorum” rules discussed above, subject to the caveat that they will not allow the application of such rules to serve as a pretext to silence disfavored, public-issue speech. Since it was not fully discussed during the meeting you had with our clients this past February, they wanted us to broach with you the issue of security. Our clients frequently hire their own private security from a licensed security firm (our clients can provide your security manager with the bona fides of the persons they hire). These security personnel will not participate in any of the expressive activity and so are not “participants.” For our clients’ proposed expressive activity, two security personnel will suffice. Permitting our clients to provide their own security will accomplish at least three important objectives: (1) it will ensure the safety of our clients; (2) it will serve as a deterrent to those who might want to cause a disturbance in response to our clients’ expressive activity; and (3) it will free up whatever store security you presently have to remain focused on your typical security issues, such as shoplifting, etc. Experience has shown that the constant and continuous presence of security at the location of the expressive activity serves as the best deterrent for those who might want to consider causing a disturbance. In short, this will benefit all parties. Consistent with our clients’ goal of engaging in the safe and orderly exercise of their free speech rights, they intend to wear small security cameras to record their activity as well as the related activity of others. These cameras, which provide no physical interference whatsoever (i.e., they are not tripod mounted cameras; they are very small and discreet body cameras), are beneficial for several reasons, including the following: (1) they will protect my clients from any false accusations of harassment, making “disparaging remarks,” etc. and (2) while discreet, they are nonetheless visible and thus operate as an effective deterrent to bad behavior. Consequently, the presence of these cameras will also benefit all of the interested parties. And while there is nothing in your rules that should prohibit the wearing of these cameras (no doubt you allow visitors to take pictures and videotape using smartphones), we raise this with you because we want to demonstrate to you our clients’ sincerity with regard to their desire that their free speech activity be peaceful and lawful for all involved. A true and correct copy of this letter is attached to this First Amended Complaint as Exhibit D.
Consequently, Defendant will not permit Plaintiffs to picket a targeted store within the Irvine Spectrum Center or Fashion Island with hand-held signs depicting an image of a seven-week-old living human embryo, an image of an eight-week-old dead human embryo, or an image of a QR code, as set forth in this First Amended Complaint, because of the content and viewpoint conveyed by the signs and the images. If Plaintiffs do picket a targeted store within the Irvine Spectrum Center or Fashion Island with any of their hand-held signs described in this First Amended Complaint, Plaintiffs reasonably fear that, because of Defendant’s threat to use physical force to enforce its speech restrictions, violence would be committed against Plaintiffs and/or their property. Plaintiffs incorporate all allegations as though fully set forth herein. The California Constitution’s liberty of speech clause explicitly provides a “right” to freedom of speech. The Irvine Spectrum Center and Fashion Island are public forums in which Plaintiffs are permitted to exercise their right to free speech under Article I, section 2 of the California Constitution. Plaintiffs’ right to free speech under the California Constitution includes the right to urge customers at the Irvine Spectrum Center and Fashion Island to boycott certain stores within these malls. The California Supreme Court recognizes that citizens have a strengthened interest under the California Constitution in speech that presents a grievance against a particular business in a privately owned shopping center, including speech that advocates a boycott. A content restriction on speech that does not favor either side of a political controversy is nonetheless impermissible because the California Constitution’s hostility to content-based restrictions extends to a prohibition of public discussion of an entire topic or subject matter. Indeed, a ban on “gruesome” images in the abortion context is not only a content-based restriction, it is viewpoint based. Plaintiffs’ anti-abortion sign displays as set forth in this First Amended Complaint constitute speech that is fully protected by the California Constitution. Defendant’s restrictions on Plaintiffs’ speech as set forth in this First Amended Complaint are not reasonable limitations as to time, place, or manner. Defendant’s restrictions on Plaintiffs’ speech, facially and as applied as set forth in this First Amended Complaint, are content and viewpoint based. Defendant’s rules, facially and as applied to restrict Plaintiffs’ speech as set forth in this First Amended Complaint, grant Defendant, its officers, agents, and employees unbridled discretion such that their decision to limit speech is not constrained by objective criteria, but may rest on ambiguous and subjective reasons in violation of the California Constitution. Defendant’s rules, facially and as applied to restrict Plaintiffs’ speech as set forth in this First Amended Complaint, are unconstitutionally vague in violation of the California Constitution. Defendant’s rules, facially and as applied to restrict Plaintiffs’ speech as set forth in this First Amended Complaint, are content and viewpoint based in violation of the California Constitution. Defendant’s rules compel speech in violation of Plaintiffs’ free speech rights under the California Constitution. Defendant’s rules, facially and as applied to restrict Plaintiffs’ speech as set forth in this First Amended Complaint, violate Article I, section 2 of the California Constitution. By restricting Plaintiffs’ speech as set forth in this First Amended Complaint, Defendant violated Article I, section 2 of the California Constitution. As a direct and proximate result of Defendant’s violation of the California Constitution, Plaintiffs have suffered irreparable harm, including the loss of their right to free speech, entitling them to declaratory and injunctive relief. Defendant and its officers, agents, and employees interfered with or attempted to interfere with Plaintiffs’ constitutional and/or statutory rights by threatening to physically remove Plaintiffs from the Irvine Spectrum Center and Fashion Island if Plaintiffs engaged in their constitutionally protected expressive activity as set forth in this First Amended Complaint in violation of California Civil Code section 52.1. Plaintiffs reasonably believe that if they exercise their constitutional rights at the Irvine Spectrum Center and Fashion Island as set forth in this First Amended Complaint, Defendant, its officers, agents, and employees would commit violence against Plaintiffs and/or their property in the form of physically removing Plaintiffs from the shopping centers in violation of California Civil Code section 52.1. The actions of Defendant, its officers, agents, and employees have caused and will continue to cause Plaintiffs irreparable harm. Defendant, its officers, agents, and employees seek to restrict the free speech rights of Plaintiffs and other members of the public through the enforcement of Defendant’s unlawful rules as set forth in this First Amended Complaint. An actual controversy has arisen and now exists between Plaintiffs and Defendant in that Plaintiffs contend that Defendant’s enforcement of its rules and concomitant restrictions on Plaintiffs’ expressive activity as set forth in this First Amended Complaint violate Plaintiffs’ constitutional and statutory rights, and Defendant contends that its rules and concomitant restrictions on Plaintiffs’ expressive activity as set forth in this First Amended Complaint are lawful. Plaintiffs desire a declaration as to the validity of Defendant’s restrictions on Plaintiffs’ expressive activity as set forth in this First Amended Complaint and the validity of Defendant’s rules, both facially and as applied to restrict Plaintiffs’ expressive activities as set forth in this First Amended Complaint. With regard to Defendant’s restriction on Plaintiffs’ use of signs, which is the primary means by which Plaintiffs express their message, Plaintiffs desire a declaration as to the validity of Defendant’s content-based restriction as applied to each sign at issue as set forth in this First Amended Complaint: the sign depicting an image of a seven-week-old living human embryo; the sign depicting an image of an eight-week-old dead human embryo; and the sign depicting a QR code. Unless the Court issues an appropriate declaration of rights, the parties will lack certainty as to whether Defendant’s restrictions on Plaintiffs’ expressive activity and Defendant’s application of its rules to restrict such activity as set forth in this First Amended Complaint comply with the law. Consequently, absent an appropriate declaration of rights, there will continue to be disputes and controversy surrounding Defendant’s speech restrictions and the application and validity of its rules. Defendant’s speech restrictions and enforcement of its rules as set forth in this First Amended Complaint are causing great, immediate, and irreparable injury to Plaintiffs and members of the public. Among other things, Defendant’s unlawful actions limit or prevent Plaintiffs and members of the public from exercising their constitutionally protected free speech right to present information to the public concerning matters of great public interest. As a proximate result of Defendant’s actions as set forth in this First Amended Complaint, including the promulgation and enforcement of its rules, Plaintiffs and members of the public are either unable to exercise their constitutionally protected right to free speech or are forced to exercise those rights under the constant threat of physical removal or litigation. Unless Defendant is restrained by an injunction, Plaintiffs and members of the public will continue to suffer severe and irreparable harm in that the they will be prohibited from exercising their constitutionally protected right to free speech and will therefore be prohibited from expressing their constitutionally protected messages at the Irvine Spectrum Center and Fashion Island. Unless the Court grants the requested injunctive relief, Defendant will continue to engage in its unlawful conduct as set forth in this First Amended Complaint, thereby continuing to cause irreparable harm. Plaintiffs and members of the public have no adequate remedy at law because monetary damages will not afford adequate relief for the deprivation of their constitutional right to free speech and for the suppression of their constitutionally protected messages. A preliminary and permanent injunction enjoining Defendant, its officers, agents, and employees, during the pendency of this action and permanently thereafter, from physically removing, threatening to physically remove, or engaging in any type of physical force or violence against Plaintiffs for engaging in expressive activity at the Irvine Spectrum Center and Fashion Island as set forth in this First Amended Complaint.